"Wednesday have W9-D8-L2 over their past 19 Championship contests , recording 11 clean sheets, to move from relegation battlers to within play-off contention." Leeds bounced back from last weekend's surprise defeat at Birmingham to move back into second in the Championship with a commanding 2-0 success at Preston on Tuesday night. With North End reduced to 10 men soon after the half-time interval, Patrick Bamford answered his critics with a second-half double to secure the points for Marcelo Bielsa's men. Leeds deserved their victory, having been the most likely side to break the deadlock in the opening 45 minutes. Mateusz Klich came closest before Bamford's opener; Luke Ayling then hit the woodwork before Bamford's second strike and the former Middlesbrough man should have completed a hat-trick late on, but he dallied when bearing down on goal. Bielsa paid tribute to Bamford's character and performance post-match and was understandably pleased with his team's effort and application at Deepdale. Leeds won the shot count 22-5 and managed to restrict Preston to zero shots on-target. Pablo Hernandez was fit enough to feature for the full 90 minutes, whilst Kemar Roofe came off the bench. Sheffield Wednesday reignited feint play-off hopes with an impressive 3-0 victory over fellow top-six hopefuls Nottingham Forest in midweek. 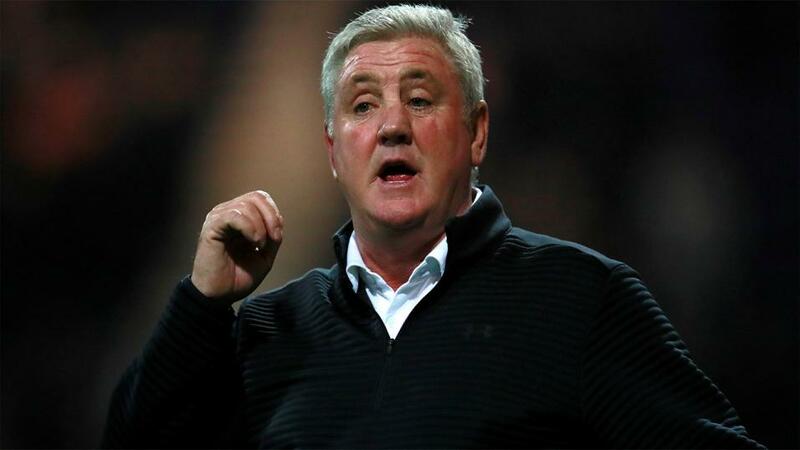 Marco Matias scored twice and George Boyd was also on the scoresheet as Steve Bruce's revitalised outfit returned to form following last weekend's disappointing late home defeat to Aston Villa at Hillsborough. Wednesday goalkeeper Keiren Westwood had to make a couple of smart first-half saves in a lively opening 45 minutes, although Lucas Joao and Matias threatened in the final-third and were eventually rewarded for their endeavour with the opener just 64 seconds into the second-half. The Owls seized the initiative thereafter with victory never appearing in doubt. Bruce, who's suffered a solitary defeat in 13 since taking charge, dampened dreams of a top-six finish post-match, saying: "Unfortunately games are running out but we've still got a bit to play for and who knows?" The Owls boss saw Morgan Fox start at left-back in place of the injured Dominic Iorfa, while Joey Pelupessy replaced the unfit Barry Bannan. Last season, Sheffield Wednesday picked up their first win at Elland Road since 2007 thanks to a last-gasp Atdhe Nuhiu strike and the Owls are now unbeaten in their most recent three fixtures against Leeds. The visitors have actually only lost twice in their past seven trips to their Yorkshire rivals (W2-D3-L2), getting on the scoresheet in six of those away-day outings. Leeds [1.63] have taken top honours in 10 of their 14 home games when odds-on favourites and Marcelo Bielsa's troops have W13-D3-L2 at Elland Road when excluding Norwich and Sheffield United. The latter sample includes a recent run of nine triumphs from 10, whilst the Whites lead the way in terms of the Expected Goals (xG) from open play ratio. Sheffield Wednesday [6.40] have W6-D6-L1 since Steve Bruce arrived in the managerial hot-seat, although the Owls' resurgence began as soon as Jos Luhukay was dismissed. Wednesday have W9-D8-L2 over their past 19 Championship contests , recording 11 clean sheets, to move from relegation battlers to within play-off contention. Leeds kept only their fifth shutout in 19 matches in midweek and having silenced just two of their last 10 visitors to Elland Road, goals-heavy punters could be keen to support the option of both sides scoring on Saturday. After all, the hosts have only fired blanks in three of their 20 outings on home soil since Marcelo Bielsa arrived on the scene. However, a smarter selection could be to back Under 2.5 Goals at an attractive [1.93]. With the Championship campaign reaching the business end, tensions are high and Sheffield Wednesday's renewed resilience deserves respect. The Owls have delivered Under 2.5 Goals winners in 13 of 19 contests since Jos Luhukay departed with their back-to-basics approach to defence reaping plenty of reward.